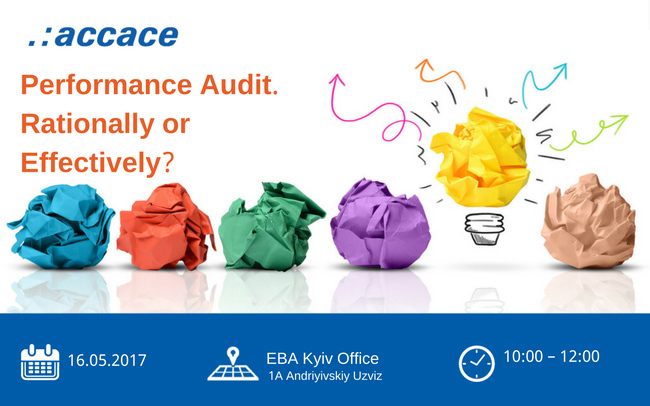 EBA Education Team together with Accace Ukraine invite you to join the EBA Education Update: Performance Audit. Rationally or Effectively? The most frequently asked questions of recent years in the daily work of the manager (manager). The task to work rationally or effectively is more urgent than ever in connection with the global lack of resources for the life activity and the distribution of human resources on a geographical basis. To act rationally is the task of control, but to work effectively is the task of management.